Orthognathic surgery (more commonly known as surgical orthodontics) is used to correct jaw irregularities. Aside from aesthetics enhancements, this also improves the patient’s ability to speak, chew and breathe. 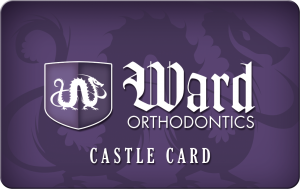 Surgical orthodontics moves the jaws into correct position. Braces are used to insure that the teeth are properly positioned after surgery. Orthodontists often use surgical orthodontic treatment for patients with concerns about facial aesthetics and improper bites. Jaw surgery is only done after the jaw has fully developed, which is usually completed by the age of 16 for girls, and 18 for boys. Orthodontists however, can still continue with the pre-surgical tooth movements one to two years before 16 and 18 years of ages. Orthodontic treatments can last from 6 to 18 months and it consists of wearing braces and regular visits to your orthodontist for scheduled adjustments of your braces. It may seem that your bite is getting worse at first, but as your teeth adjust with your braces, it will be easier for your bite to adjust to its proper position after an orthognathic surgery. The surgery is done by an oral surgeon, and it can last for several hours depending on the severity of your jaw misalignment, the type and amount of surgery required. During lower jaw surgery, the jawbone located behind the teeth is separated to allow the tooth-bearing portion to be moved forward or backward, as needed. During upper jaw surgery, the jaw is repositioned forward or backward. It can also be raised or lowered, depending on what is needed. Some adjustments may require the jaws to be separated in order to add or remove bone to achieve proper alignment and stability. In doing so, other facial bones that can affect the alignment may also require repositioning or augmentation. The recovery period usually lasts two weeks, but complete healing may last from 4 to 8 weeks. After this period, your orthodontist will do the necessary adjustments to ‘fine-tune’ your bite. The braces are usually removed 6 to 12 months after surgery. A retainer is usually used to maintain the alignment of your teeth.